Our recent attendance at the 2018 Florida Governor's Conference on Tourism was inspiring, to say the very least. Based on the information we gathered at the event, we have selected a few highlighted locations to spotlight on a virtual "tour" of Florida. These articles will be released in a series - each featuring a different location. For more information on the destinations we're featuring, please click here. For now, please enjoy this second feature segment - on Bradenton Gulf Islands or refer to the first feature - spotlighting Amelia Island. Please note - information contained in this feature is not based on firsthand experience, but from promotional materials put out by representatives of the featured location at the 2018 Governor's Conference. 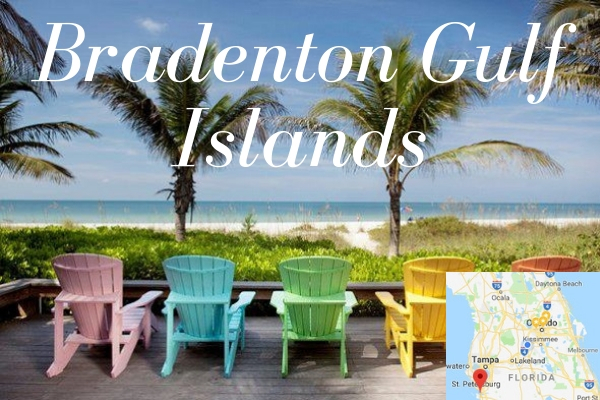 The Bradenton/Anna Maria Island/Longboat Key area is located on Florida’s west coast between St. Petersburg and Sarasota. It is bordered on the north by Tampa Bay, and to the west by the Gulf of Mexico. Recent rewards and accolades include: Top 10 Island Beaches for Perfect Sand, Conde Nast Traveler: Coquina Beach on Anna Maria Island; Ten Best Little Beach Town in Florida, Coastal Living: Anna Maria Island; Best Beach for Families, Family Vacation Critic /Trip Advisor: Manatee County Beach; Top 30 Island in the World, Conde Nast Traveler: Anna Maria Island; Top 25 Happiest Cities in the US, National Geographic: Bradenton. LONGBOAT KEY, Fla., Dec. 16, 2016 - The Resort at Longboat Key Club is well known for its exclusive location, year-round sunshine and personalized service. 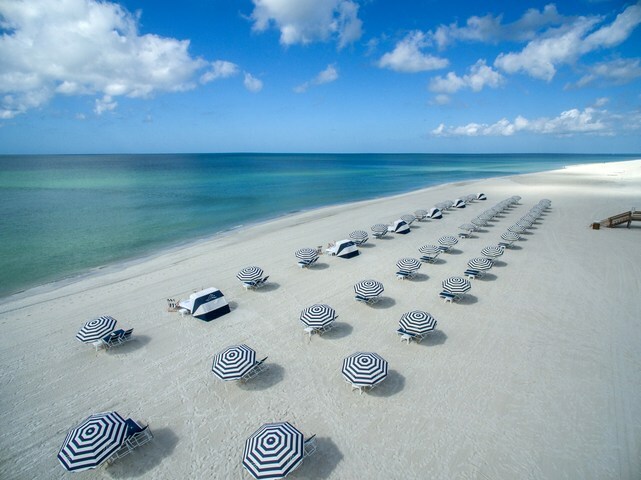 Now, the resort near Sarasota, Florida debuts its expansive, newly rejuvenated white sand beach with comfortable chaise lounges, private cabanas and sheltering umbrellas. The $1.8 million project, which involved more than 49,990 tons of pristine white sand, brings the beachfront on the south end of the island back to its former expanse, melding it into the sandbars that stretch for miles into the Gulf of Mexico. Over the course of four recent weeks, 2,250 truckloads of the finest grade sand were delivered to the barrier island, replacing sand that was lost due to natural erosion and a stormy summer. "For our guests who return year after year, the new beach is a welcome sight, as it is now back to its former glory," said Jeff Mayers, general manager of The Resort at Longboat Key Club. "New guests will enjoy an island-style getaway like no other. We took this opportunity to replace all of the beach furniture, add some new watersports equipment and even create a special play area for young children so parents can relax and keep an eye on the little ones. New tiki huts adorn the beach, and services include cocktail and food delivery right to your cabana or lounge chairs. This is truly the beach experience our guests have come to enjoy, and we look forward to welcoming them." In addition to enjoying the aqua blue waters and famed sunsets along the Gulf of Mexico, visitors can explore the many cultural attractions and shopping experiences in nearby Sarasota and St. Armands Circle. Condé Nast readers recently named the resort at Longboat Key Club a top 10 Florida, Gulf Coast getaway, and Tennis Resorts Online named the Tennis Gardens as one of the top 10 tennis facilities in the world in 2016. The Florida hotel offers special rates, resort credits and discounts for golf, tennis and The Spa that will fit all travelers' budgets and fulfill their dreams to escape the winter blues. The Resort at Longboat Key Club at 220 Sands Point Road in Longboat Key, FL is Sarasota's premier luxury beachfront resort and private membership club renowned for distinctive guest service and unparalleled amenities. The resort is easily accessible from two international airports. On-site amenities include 45 holes of championship golf, the Tennis Gardens, The Spa, a fitness center, eight distinctive restaurants and lounges, the 291-slip Longboat Key Club Moorings and a pristine Gulf of Mexico beachfront location. Accolades include being named a Conde Nast Top 30 Resort, Florida Gulf Coast; a AAA Four-Diamond Resort for 33 consecutive years; #6 Tennis Resort Worldwide by Tennis Resorts Online; and a Top 25 Marina, North America by Power & Motor Yacht Magazine. For information, visit www.longboatkeyclub.com or call 1-855-314-2619. Follow The Resort at Longboat Key Club on Facebook, Twitter and Instagram.